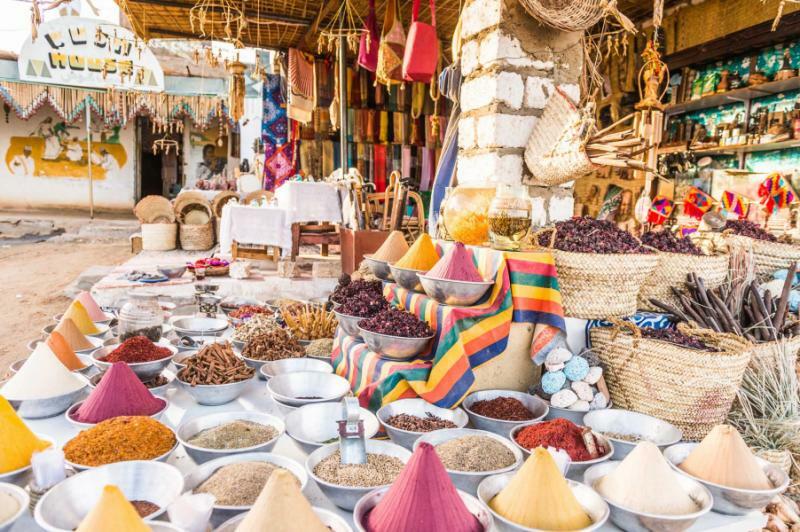 Exquisite and enchanting, this handcrafted Egypt tour showcases its major highlights in just a week of travel, from sunrise at the Great Pyramids of Giza to sunset cruising on the Nile, with fabulous historical wonders in between. 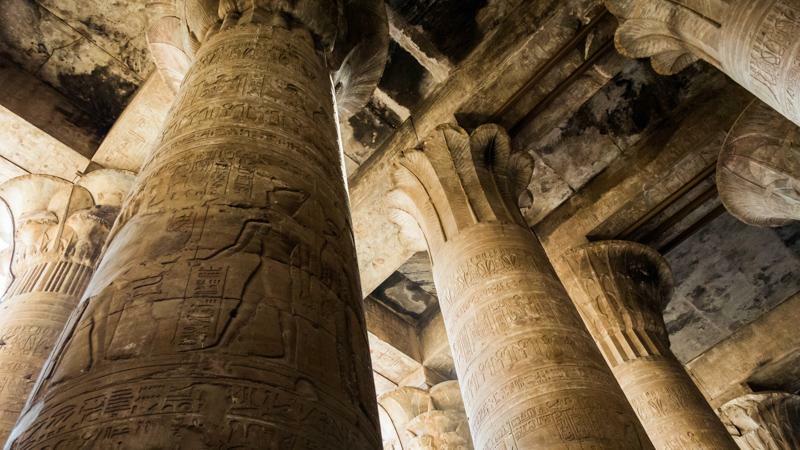 Ancient Egypt’s extravagance comes alive as you hop between the icons with private Egyptologist guides, avoiding the tour bus crowds while also uncovering many secret sights lost in the desert. 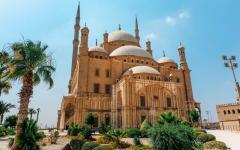 This is the best of Egypt for those short on time. 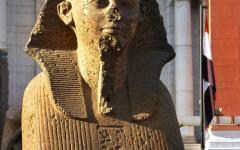 Egypt’s historical highlights have defined the world. They rise on a mesmerizing scale, pyramids climbing skywards, temples carved into the sandstone of the desert. They enhance the photogenic snapshots with their unforgettable atmosphere, every footstep through history revealing not only visuals but also the feeling of a persevering dynasty. These highlights continue to inspire through their detail, such intricacy and innovation sculpted into every lost corner of a tomb or avenue. And all these highlights come to life on this handcrafted tour. 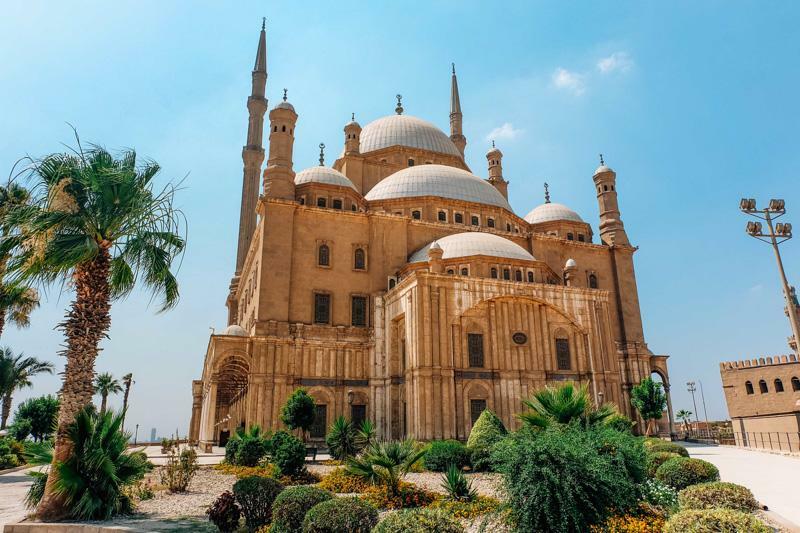 Incorporating all the major sights in Egypt, this 1-week tour is all about unraveling the best of history for those with limited time. Sublime five-star hotels serve as relaxing bases for the days of exploration. Private Egyptologist guides keep you away from the tour bus crowds, their intimate knowledge ensuring you are almost alone in these marvels of history. 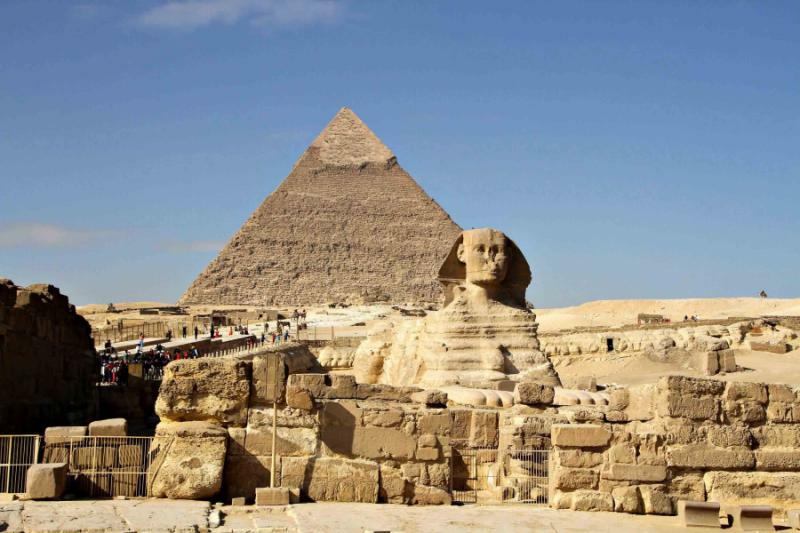 Famous sights are covered, like the Tomb of Tutankhamen and the Great Sphinx of Giza. 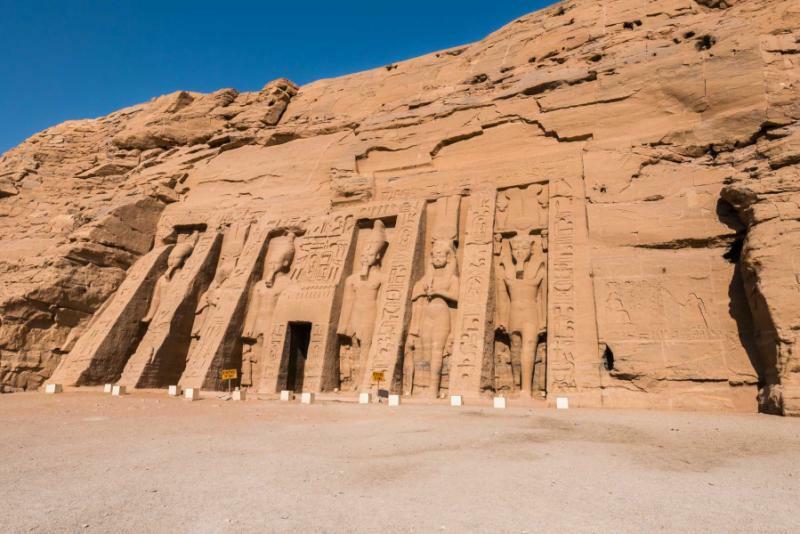 But this tour of Egyptian highlights is all about the details and will also take you to majestic lesser-known sights, such as Abu Simbel and the Red Chapel of Hatshepsut. 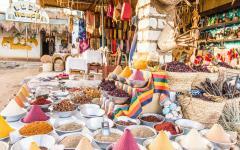 The Egyptian experience is not just about ticking off historical sights. It’s the atmosphere that holds you captive, that irrepressible sense of a place and a time that can’t be conveyed by traditional media. Dust flicks up as you descend into a pyramid, tombs glowing golden as you sail along the Nile River at dusk, and echoes drifting through the solitude of temple halls. It’s in this ambiance that the true highlight of Egypt is revealed. By carefully planning each day’s program, this tour celebrates the atmosphere of ancient dynasties, giving a real sense of how Egypt used to be. Consider learning more about the Egypt travel specialists who will help you craft your dream Egypt itinerary. Start in Giza and a hotel rooftop overlooking the pyramids. Get acquainted with this ancient wonder of the world the following day, then step further back in time to the Step Pyramid of Djoser in Saqqara. 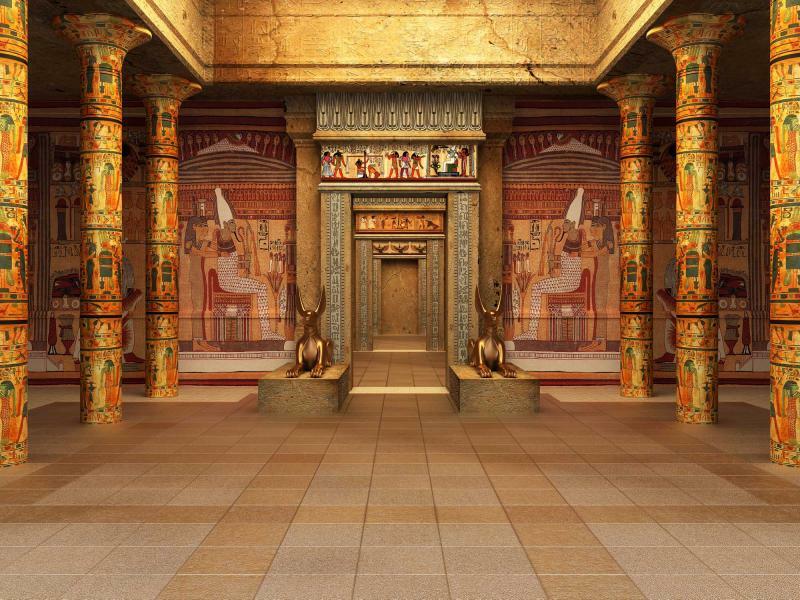 After exploring these crumbling sights, you are guided through the colorful chaos of the Egyptian Museum of Antiquities. 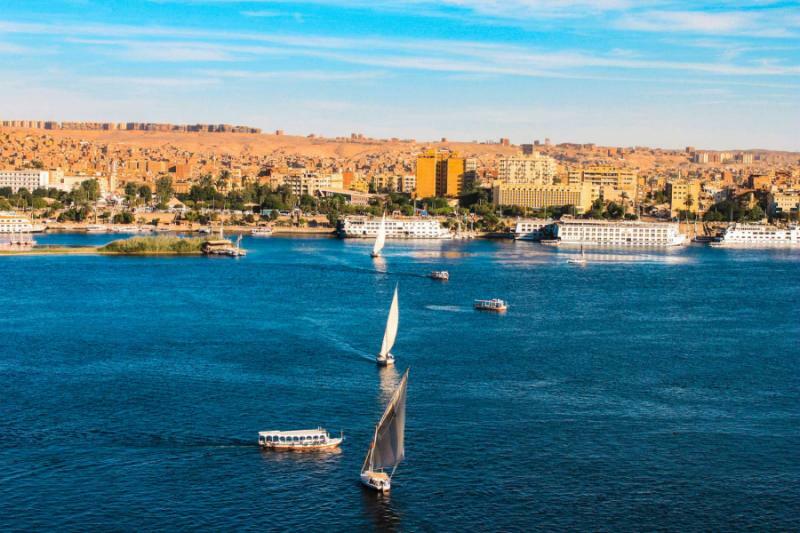 Later in that afternoon, you fly to Luxor, where the tranquility of a felucca sailing boat provides an enchanting interlude to the historical exploration. 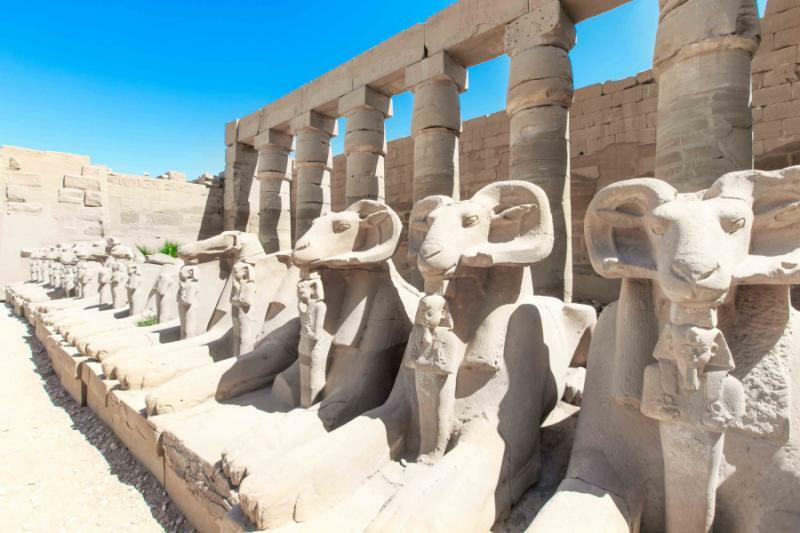 The next couple of days are dedicated to the wonders of Luxor, from the Tomb of Ramesses VI to the Temples of Karnak, the famous Valley of the Kings to the Middle Kingdom White Chapel. There’s a lot to take in at the world’s greatest open-air museum, and this is where the ambiance of history really excels, especially as you sidestep the groups and explore the monuments laced with details. 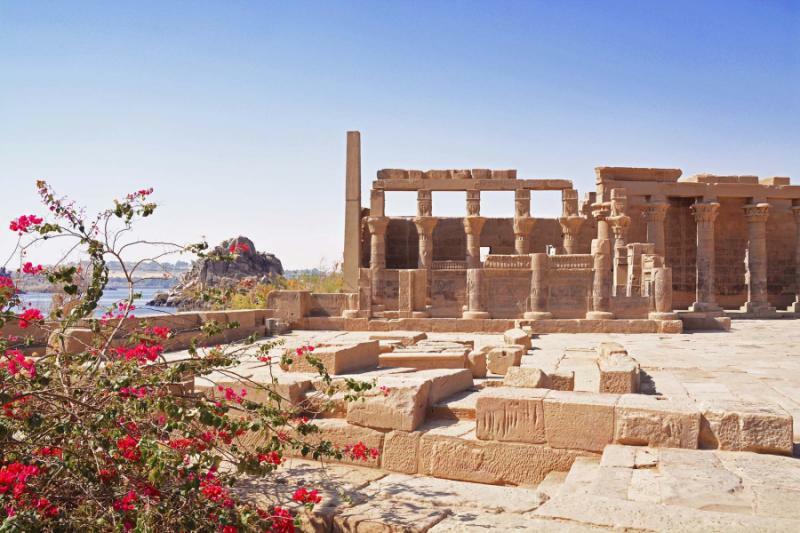 Next, you’re driven to Aswan, stopping at the majestic Edfu and Kom Ombo temples then settling into a desert oasis on the Nile. 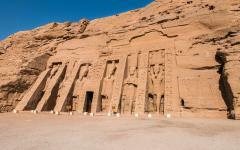 Completing the discovery are Aswan’s highlights and then a flight over the dunes to the temples of Abu Simbel. You’ll then spend the last night back in Cairo, close to the airport for a quick getaway on the final day. 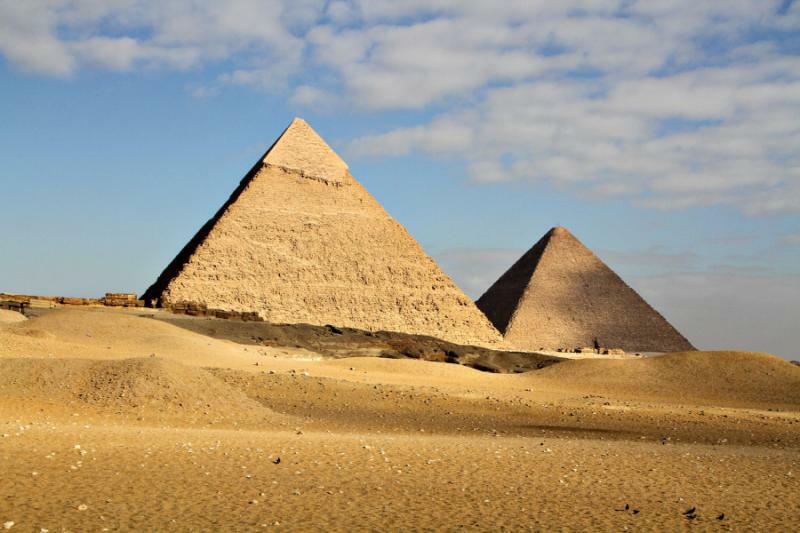 For all of Egypt’s sights and highlights, there’s one image that stands above them all: the Great Pyramids of Giza. They shimmer in the sunset light, glowing a subtle red before dusk takes hold. You’re sitting on the rooftop, beneath a shaded garden canopy, admiring this wonder of the ancient world. The hotel rooftop is the perfect introduction to Egypt’s highlights, a place where you can adjust after the flight and still be amongst the history of the old dynasties. 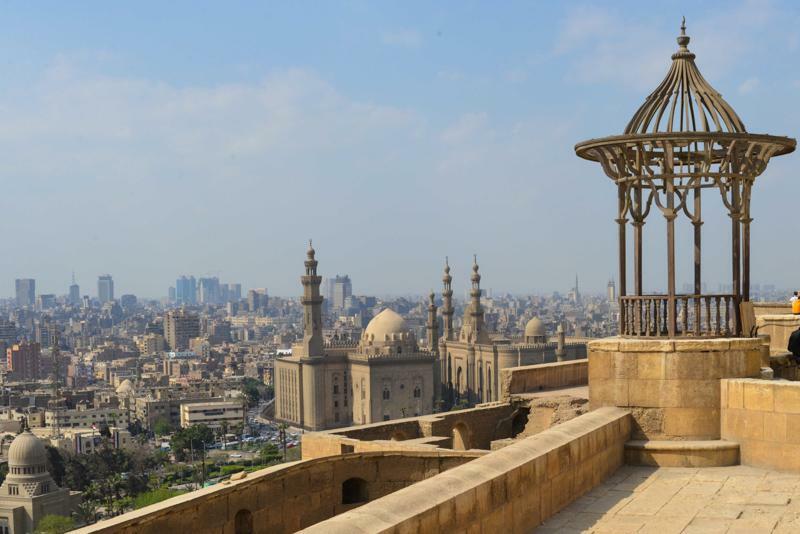 After touching down at Cairo International Airport, you’ll be greeted by your private transfer and transferred to your five-star hotel, where the rooftop brings these dreamy views. A lavish dinner banquet at the resort is included. Footsteps send up shoots of dust as you step towards the pyramids, their looming facade getting closer and closer as the desert comes alive at sunrise. There’s a remarkable enormity to it all; the resplendent sand, the vistas stretching onwards, icons rising majestically. Pass the Sphinx of Giza and keep going, listening to the stories of the ages as you approach what the Greeks called one of the Seven Wonders of the Ancient World. 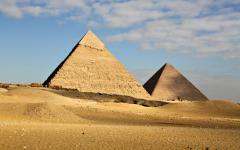 At least one of the pyramids will be open (this changes seasonally), and you step inside the engineering masterpiece. Explore the Solar Boat Museum and walk out to some exceptional viewpoints for panoramic photos, then depart the scene before most of the tour groups have even arrived. Staying in Giza provides this opportunity to be amongst the pyramids before they become crowded. Return to the hotel and relax for a few hours, allowing the heat of midday to pass, perhaps having a siesta. In the afternoon, you explore Saqqara, where the oldest pyramid of them all seems to be crumbling before your eyes. The curves of Step Pyramid of Djoser have been softened over time, no longer straight lines like the newer (yet still ancient) Pyramids of Giza that you admired earlier this morning. Scenes of daily Egyptian life cover the insides of the Old Kingdom Tombs, and within the Pyramid of Teti, you visit the very oldest of the Egyptian texts, the epic Egyptian Book of the Dead that dates back 3,500 years. While Giza showcases the enormity, an afternoon in Saqqara reveals the details, from the tiny hieroglyphs on a stained page to the life-size wooden statues of the ancient leaders. Return to the hotel in the late afternoon and the rest of the day is at your leisure. Musty smells linger in the corridors of the Egyptian Museum of Antiquities, continuing past priceless artifacts and majestic treasures from the past. Masks and tools sprawl across shelves, gold glistens on corners, and discoveries from tombs haphazardly cover the floor. The disorder and chaos are part of the experience, almost making the museum feel like a private treasure hunt. Going with a private guide helps you journey straight to the most valuable and remarkable of the tens of thousands of artifacts. The tour is flexible and can provide an overview of the museum’s highlights, or it can be tailored to your specific interests. 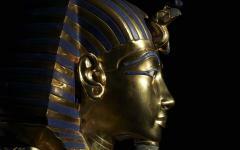 For almost everyone, the Royal Mummy Room and collection from King Tutankhamen’s Tomb are not to be missed. From here, you travel directly to the airport with a private driver, and then board a flight to Luxor. The atmosphere changes, serene desert landscapes replacing the vibrant metropolis, scorched colors dominating from most angles. 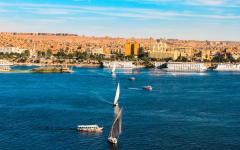 You’ll be transferred to the Sofitel Karnak for check in before setting sail on the Nile River. For three hours, you cruise around in a traditional felucca, the desert breeze taking you past temples that rise majestically along the banks. You’re in the heart of the world’s open-air museum, admiring the glimpses on either side of the banks. But this experience isn’t about sightseeing. It’s all about the tranquility of the Nile, soaking up the atmosphere of this ancient desert oasis, and watching the waters glimmer golden in the fading light. Dinner at your hotel is included tonight. The West Bank’s is Ancient Egypt’s New Kingdom, where the Valley of the Kings still whispers the names of Tutankhamen and Ramesses. 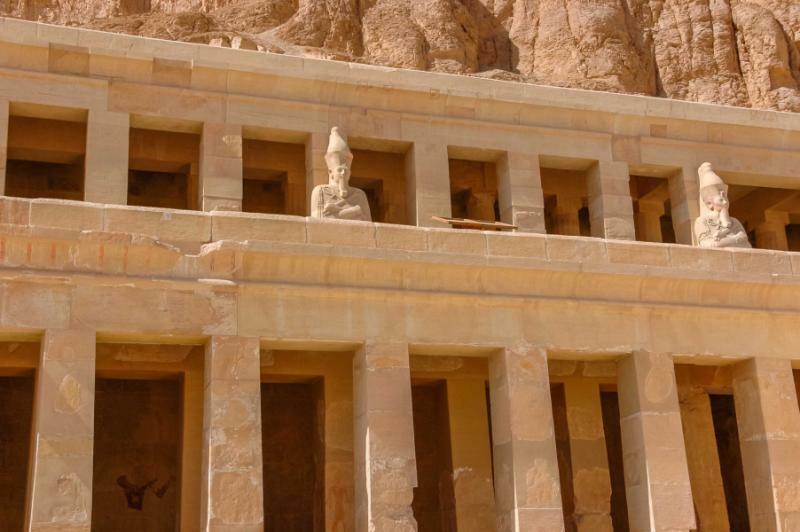 So many tombs open up here, and you will visit four, starting at one of the smallest, the Ramesseum of Ramesses II. Inscribed details cover the walls, and you’re really able to imagine the era. Footsteps echo, and murals line the walls, along with all manner of glittering excesses that have been returned to the tomb. 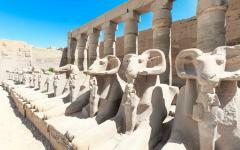 The Ramesseum is a great introduction to the Valley of the Kings and its atmosphere. From here, you descend into the most famous attraction, King Tutankhamen’s Tomb being an essential stop on any tour of Egypt’s highlights. There’s much more in this giant open-air museum. The tomb of Ramesses VI has been restored in recent years and reflects the unrivaled extravagance of the pharaoh’s tastes. And then the most enchanting of them all: the three floors of Hatshepsut’s Deir el-Bahri Temple, a masterpiece that has left its legacy on so much old-world architecture. 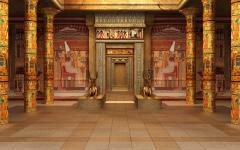 Arrive at the Valley of the Kings, and most visitors are keen for photos and highlights. But as you cross the desert and wander through the valley, you get a keen sense of how intriguing these tombs are. Scale baffles, detail inspires, and the expressions of a distant time couldn’t be more poignant. After a day here, it really feels as if you’ve been transported into a distant world, one with an atmosphere that will linger long past your final stop, the Colossi of Memnon. Onto the East Bank, the private Egyptologist guide planning the route carefully to avoid crowds alighting from the cruise ships. Like yesterday, you benefit from an early start. An eerie atmosphere hangs in the remains of the Avenue of the Sphinxes, leading you up to the domineering statues of Ramesses II. 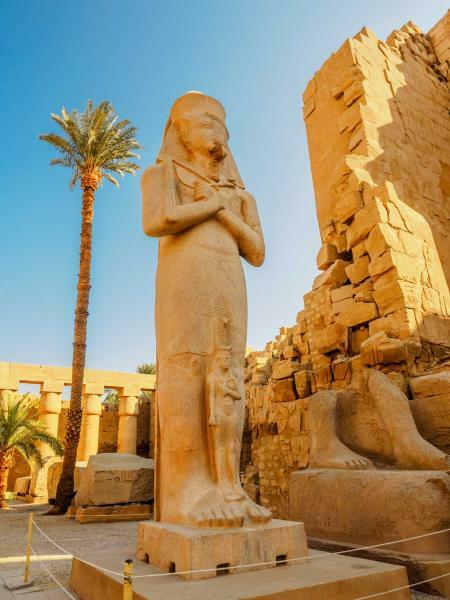 His eyes seem to move, watching you from all angles as you explore the postcard-perfect Temple of Luxor. 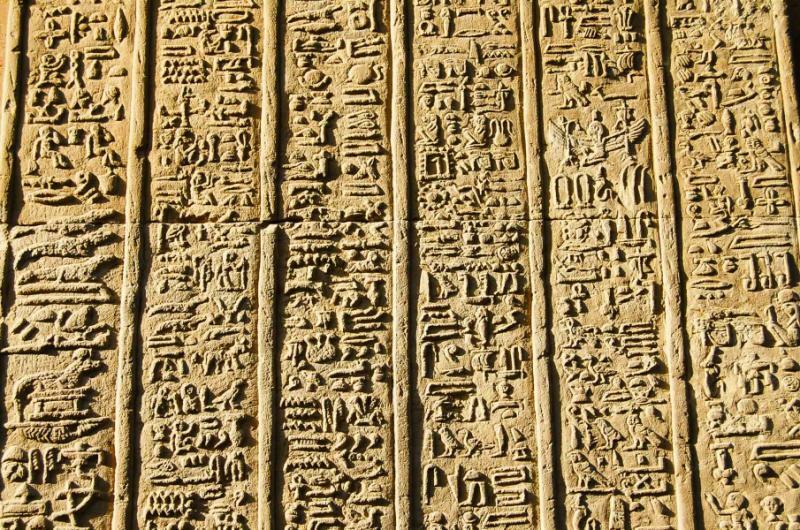 The guide provides narratives, and through careful observation, you inspect the details, like the subtle honoring of sun god Aten or the symbols that wind around immense columns. Later in the morning, you stand in the heart of the Temples of Karnak, gazing up from the Hypostyle Hall and allowing the sense of scale to take over. Of all the Egyptian monuments and all the historical highlights, none capture the breadth like this magnificent ode to past civilization. 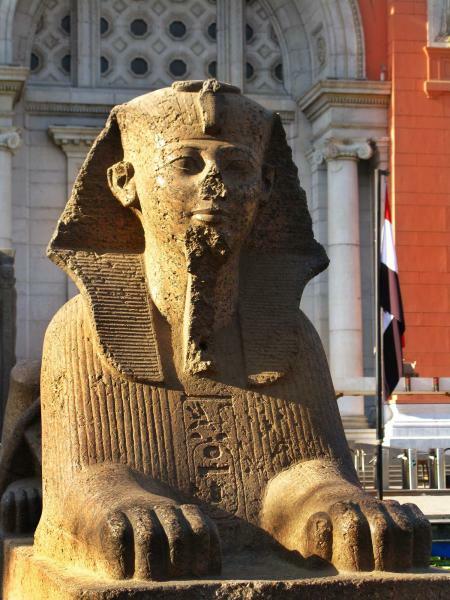 It takes two hours to get close to understanding the details, from the Red Chapel of Hatshepsut to the Middle Kingdom White Chapel and the noble life-sized statues of lioness Goddess Sekhmet. 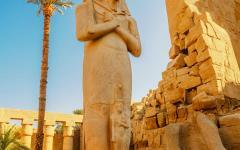 From here, there will be time to see the Luxor Museum and the statues recently unearthed from beneath Luxor Temple. The evening is at your leisure, and there’s a relaxed street bazaar for buying souvenirs. Dinner at the hotel is included. 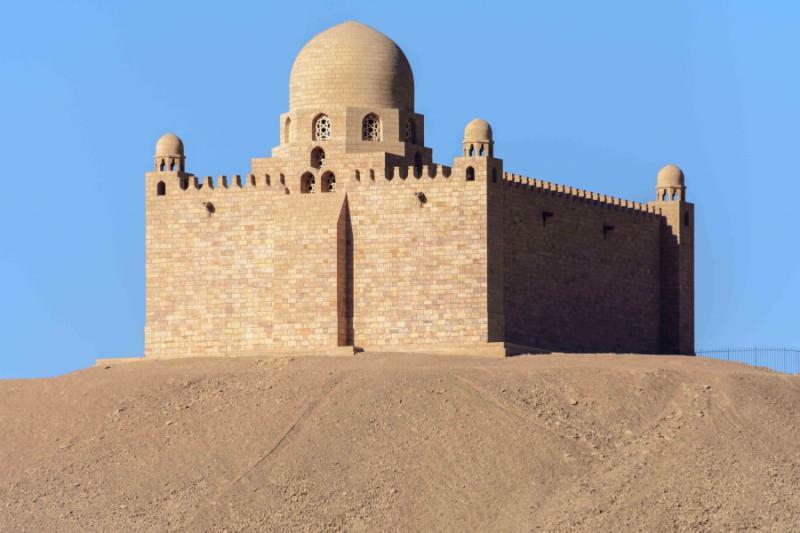 The four-hour drive to Aswan reveals diaphanous desert panoramas. Glance out, and every angle appears to be the same. Yet look closely and there’s always change here, the sand flickering off dune ridges, the sun bringing diaphanous color to the land, an oasis appearing like a phantom. 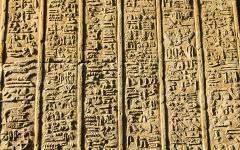 Epic sights are found along the way, notably the Greek-era Edfu Temple. Its walls portray a dramatic battle between good and evil, each sculpture another scene from a pervasive mythology. 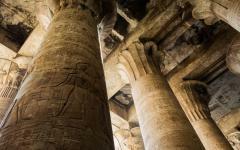 Kom Ombo Temple is just as remarkable, emerging from the desert like an apparition. Stand inside the temple and admire the wall reliefs, the falcon and crocodile gods telling their stories on different sides. Then take a step back and look out to the desert, admiring the powerful solitude that exists in this forgotten piece of Egypt. 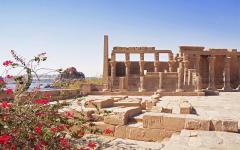 Both these temples are standard stops on the cruise from Luxor to Aswan. Your guide times the visit to avoid an afternoon rush of tourists that contrast the serenity of the setting. 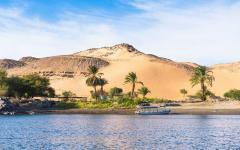 Arriving in Aswan, you transfer to your five-star accommodation, and then spend two hours on a felucca, sailing between the islands and gardens of this old-world oasis. Much like your earlier felucca experience, the quiet hours on the water are a great chance to get your breath back and reflect on the highlights you’ve seen so far. All meals are included today. You cruise down the Nile River, a motorboat taking you to Philae Temple and a charming complex of columns rising above the water. A short journey away from the water is the Unfinished Obelisk, a marvelous piece of sculpted granite with a deep crack running through its bust. This site provides some context, visually revealing how the obelisks were cut and made. These morning excursions are followed by a flight across the Sahara to the Abu Simbel temples. A dramatic barrier of sculpted kings guards the entrance to the temples here, the seated figures some 15 meters above the narrow hallway. Wander inside and yet more ostentatious figures line the halls, expressions of power made incredibly believable by their attention to detail. Carved into rock in the middle of nowhere, these temples define the extravagance of the old dynasties. 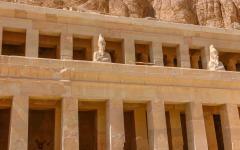 From Abu Simbel, you fly to Cairo via Aswan, where a five-star airport hotel provides your final night in Egypt. 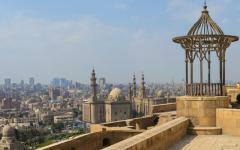 From the hotel, it’s a very short transfer to Cairo International Airport and your morning departure. Enjoy breakfast at the hotel before departing Egypt after a week of remarkable historical sights and atmospheric experiences. "...Great trip and it was enjoyed by all....favorite stop was Bologna..."